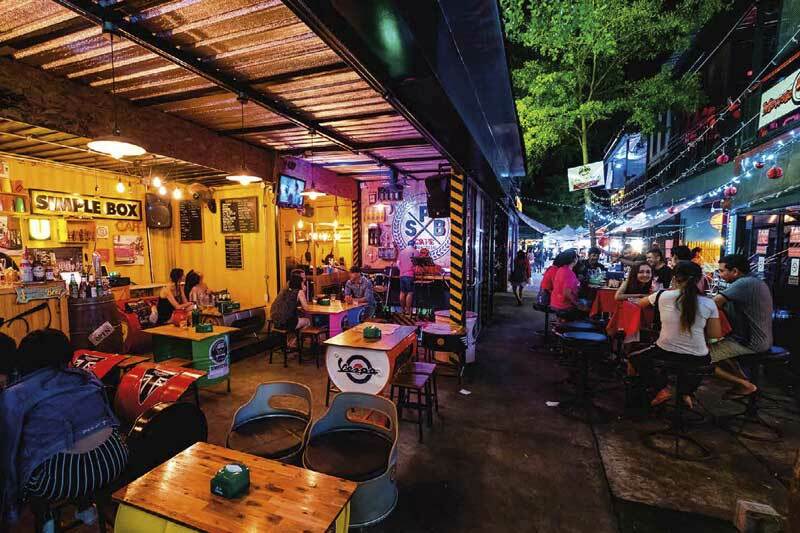 As a more recent addition to Phuket’s market scene, Chillva has sprouted up and flourished as a hip hangout spot. Located near Rajabhat University, this nightly market attracts local students and tourists alike as a more stylish option to the well-known Naka weekend market. Dozens of food stalls serve up snacks while specialised restaurants offer up fantastic seafood, noodle soups, and more. Treat yourself to a unique t-shirt, new pair of shoes, or wacky gift for a friend. Converted shipping containers stacked two tall serve as themed pubs with live music or the airing sporting events. Chillva has something happening every night of the week, but it’s more fun Thursday- Saturday when there’s live music on the main stage and everything is in full swing.